Yee Haw! 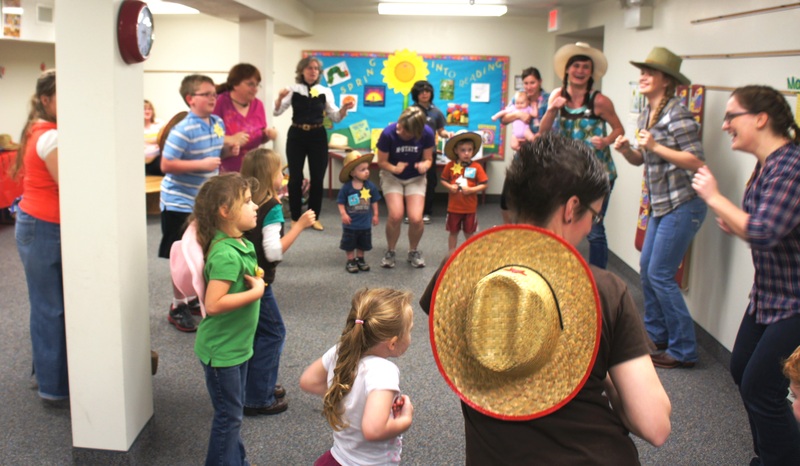 Last night we had a Cowpoke Hoedown at the library and we had a grand ol’ time! We kicked up our heels and did some line dancing and made some very realistic no-bake cow pie cookies. Place butter, sugar, cocoa and milk in a glass bowl. Microwave 2 minutes on high. Stir. Then microwave on high for an additional 4 minutes, stirring after each minute. The sugar should be fully dissolved. Mix in the vanilla and peanut butter, until peanut butter is melted. 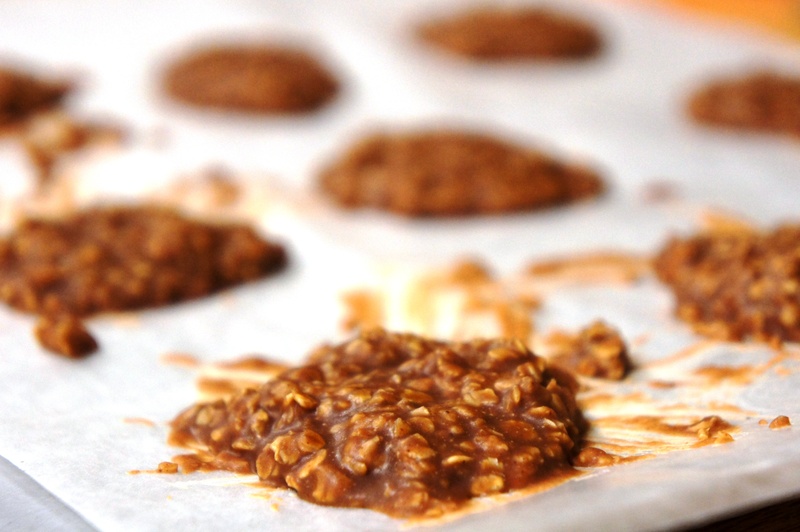 Add oatmeal and drop by heaping tablespoons onto cookie sheet covered with waxed paper. Refrigerate for about 30 minutes or until set. Serve chilled. Cow Pie Cookies – ready to eat! We started out with a simple and slow line dance. 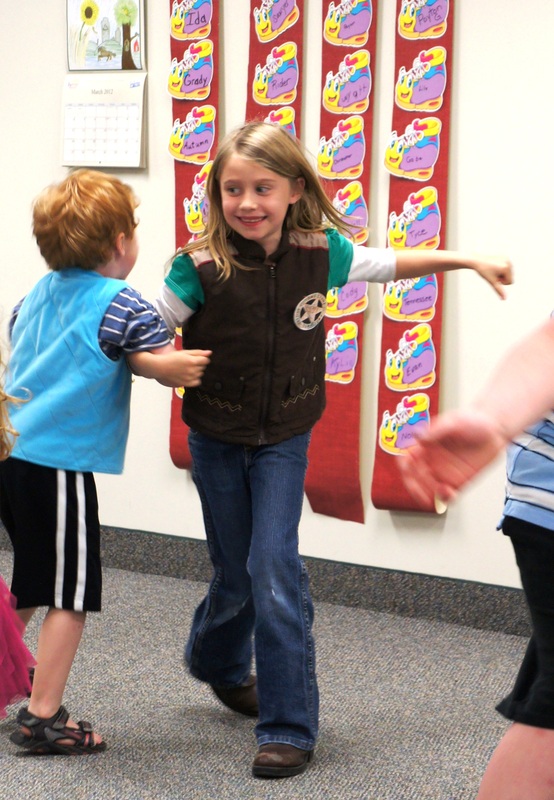 After all that hard work of following directions, we mixed it up with a fun dance that everyone knows! After a quick water and cookie break, we learned the electric slide steps- but we danced to country music. This is the most difficult of the four dances. Music: Achy Breaky Heart by the Country Dance Kings from the album Greatest Country Line Dance Songs Ever! March 27, 2012 in Family Programs. They all look like they had a blast!! Did you have a big group? And what did you do for your cowpoke craft, if I may ask? We had so much fun! We had 19 people and 4 staff members there. I decided not to do a craft or read this time due to time limitations (although I did display a variety of cowboy books that could be checked out.) 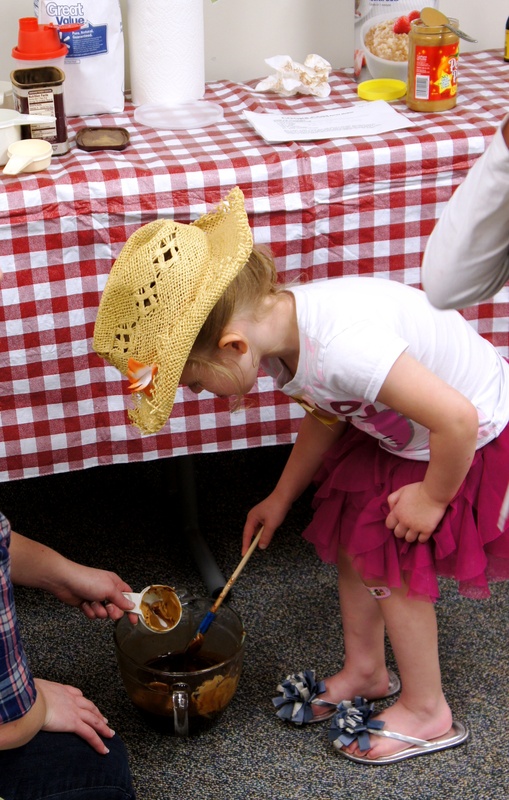 All children got to participate in making the cookies – and the cookie making and dancing easily took up our full hour.